Polly is ice cold, English cool. 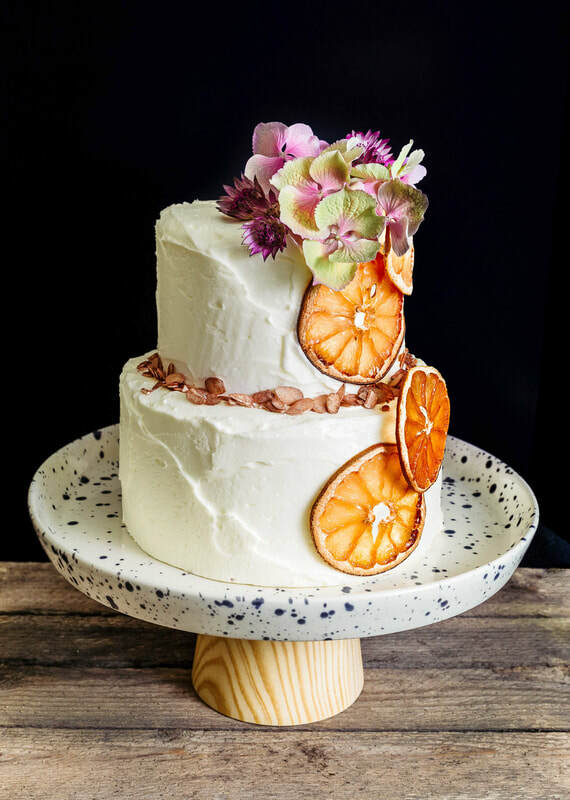 Her subtle blend of sharp, citrus bite, botanical gin and soft almond sponge is a must for anyone that knows the virtue of a well-timed G&T. 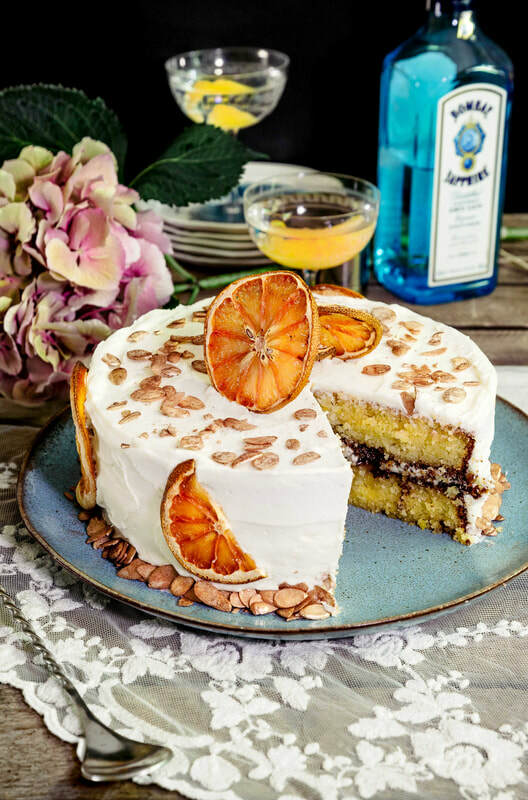 Filled with homemade pink grapefruit marmalade, the moist almond sponge is soaked in lemon syrup for an extra hit of citrus before being covered with lashings of gin and tonic frosting. Polly is made up of a double layer of sponge, filled with pink grapefruit marmalade, and masked in gin and tonic frosting. She is decorated with bronzed, flaked almonds and dehydrated pink grapefruit spheres, all of which are included in the below prices. I recommend eating any of the cakes within 72 hours of delivery to enjoy them at their best. Polly does not need to be refrigerated and will keep well in an airtight container.